Very creative and adorable. Love it! I love it! All those frames are so fun! 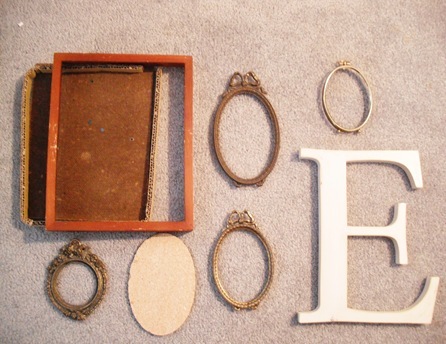 I love doing projects with old/outdated frames! I love the scrabble pieces you used. Thanks so much for linking up to Terrific Under Ten! very sweet project ~ creative and pretty! I love, love old frames! 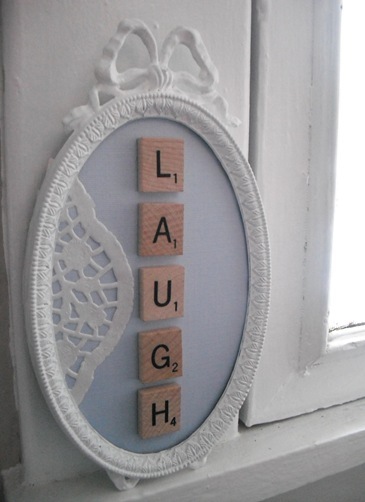 I love the idea of the scrabble tiles. Oh, good job! I love this idea and you made it so well. Thanks for sharing. It is very inspiring. 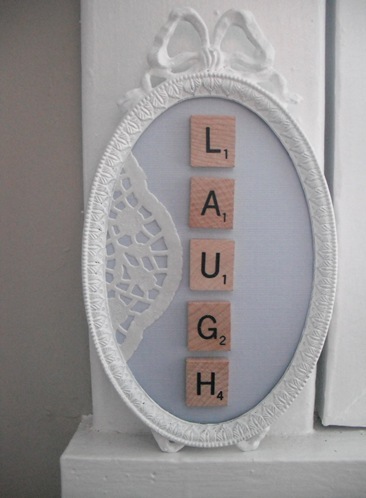 I am always looking for new collage ideas using Scrabble tiles…have a big jar of them in my craft room. Thank you for the inspiration…love this idea! This is actually cute!! nice blog, following you via For The Love of Blogs. Super cute!!! I really like it! So cute! I feel like I haven't been over here forever, sorry! I am being a bad blogging friend:) I was just looking at the FTLOB nominate a blog thing and you nominated me, you're the sweetest! Thanks! I might ask for votes..thanks again! 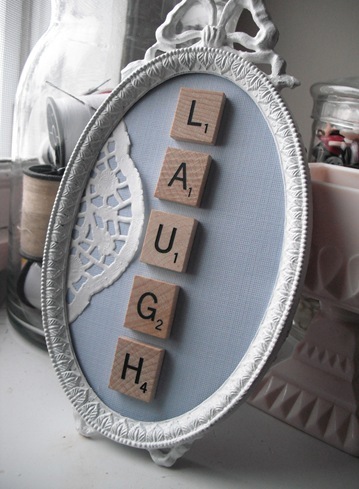 popped over here from weekend wander/ftlob and I love that wall of yours but the 'laugh' frame with scrabble pieces…oh my.LOVE it! These are just gorgeous. Just visiting from the FTLOB hop. Have a great week. The scrabble letters are so fun. I would love to make one for my living room!